These are tough times for the small community of Ocean Gate and many residents will gather today and say goodbye to a police officer who by all accounts went above and beyond on a regular basis. By now you have heard or read about the tragic death of 32-year old Jason Marles early Thanksgiving morning just after he had worked an extra shift on patrol for drunk drivers. The 9-year police veteran was on his way home to Point Pleasant Beach when his vehicle was hit from behind on the Garden State Parkway, struck a guardrail, overturned and burst into flames. The irony is that a short time after he was looking for drunk drivers, Marles life was ended by one as a 31-year old Manchester Township man is currently in jail on charges of vehicular homicide and drunken driving. Under any circumstances this story would be a sad one but it’s maximized by the fact that Marles was the married father of two young children, was on his way home to spend Thanksgiving with his family and was one of just 7 police officers in Ocean Gate. In the days since the tragedy there have been countless stories from residents about the positive impact in made in the community and the little things he did for people that meant so much. While the loss to his family is the greatest there is a void in Ocean Gate that will be impossible to replace. I would venture to say in just nine years he built a legacy that will never be forgotten by his fellow police officers and the community he cared so much about. Today for me is not the day to talk about the person who allegedly is responsible for taking a life or the gutless passengers who fled the scene out of fear instead of staying to see if they could help possibly save a life. Today is when many who knew Marles and just as many who did not will flock to Carmona-Bolen Home for Funerals on Main Street in Toms River from 2-9pm to pay their final respects. Today is when that circle of people who chose law enforcement for a career pulls together for a fellow officer and his family, especially his wife Ginny. Today is also the day in which we can show our admiration for a life-long Ocean County resident by donating to a college fund that has been set up for his children, 5-year old Taryn and 4-year old Landon. Donations by be mailed to the funeral home or to Ocean Gate PBA Local #352 at P.O. Box 562 in Island Heights. Jay Marles short life can be summed up in his own obituary….”he wasn’t a cop, he was a peace officer.” We can only hope he will find everlasting peace. For some it was a long holiday weekend…for those in retail it was anything but a holiday. Thanksgiving has come and gone and that means we will be reminded time and time again, in many different fashions that Christmas is just around the corner. If you were fortunate you did get to spend some quality time with your family and personally having both our children home together for even a few days was truly great, Alex is back to Penn State but not for long…will be home for a longer break in just over two weeks and Brandon will return from Hoboken to spend Christmas week with us. Sure it’s like a giant buzz saw when they are around but truthfully we enjoy MOST of it. It’s a tough time of year to get noticed among all the movies that are out but one I recommend is “The Next Three Days” starring Russell Crowe and Elizabeth Banks. It’s got a lot of twists and turns and while a bit slow at times and somewhat unrealistic it’s still pretty entertaining. Not great….but pretty good. For many high school athletes it’s officially the winter sports season as practice for sports like basketball and wrestling began the day after Thanksgiving. However there’s the matter of some high school football still to be played as 7 Shore Conference teams will play for state sectional championships this coming weekend, including Lacey and Brick Memorial. The undefeated Lions host Delsea on Saturday at 1pm while Memorial takes on Sayreville Saturday night at Rutgers (7pm) in a game we will broadcast on our Shore Sports Network, including 105.7FM. A funny thing happened to Eagles fans on Sunday….they realized that the road to the Super Bowl is not a foregone conclusion. There is certainly no shame in losing to the Bears but Philly is not a great team and actually I don’t think there is one in the NFL this season. Usually by now a couple of strong Super Bowl favorites have emerged but certainly in this season of parity it is still a tossup. To me it’s without question the best holiday of the year and more than ever a day we should try to enjoy and savor. Thanksgiving celebrates all things good in life while of course reminding us about the sad reality that it’s not that way everywhere and for everyone. 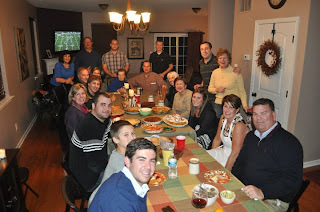 At one time Thanksgiving was just about perfect because it was a pure holiday with little or no commercialization. If you were lucky there were some gas stations and convenience stores open but that was about it. Now unfortunately more and more retail chains have decided they can’t go a day without grabbing some cash so on a day when they should be closed their doors will be open. However for most of us tomorrow will be a day featuring four F’s….family, food, football and fun. Thanksgiving is a wonderful day for so many reasons. Loved ones travel from near and far to reunite with their families and often renew traditions that have been passed down from one generation to the next. For some the day will start by attending a high school football game while others might try and work up an extra appetite by throwing a football around in the backyard although the weather might not be ideal for that. Food comes at you in all directions and you try and remind yourself that this is not a sprint, but a marathon. I swear each year will be a different and I’ll go slowly with the appetizers but I know tomorrow I’ll be in full devouring mode before the turkey is even sliced. Turkey of course is the staple but many will offer a diverse menu that will include lasagna, ham and more sides then you can count. My favorite is stuffing with sausage, a real healthy offering that is part of the reason why the average American will consume about 4,500 calories tomorrow….so are you below or above average? Eating is not done as a meal but rather in stages that take hours from beginning to end. In between there will be three NFL games on TV, including traditional ones in Detroit and Dallas and an evening one featuring the Jets at the Meadowlands. That will be about the time some are finishing desert, cleaning up or driving home….or maybe even working on leftovers. Then of course there are those who will end this great holiday early to get ready for Black Friday. and you’ll find there is something to be thankful for….friends and family. Happy Thanksgiving! The Lakewood BlueClaws announced Monday that Chris Truby will be their manager in 2011 as the 36-year old former third baseman replaces Mark Parent, who has been promoted and will manage the Phillies Double-A team in Reading. Truby was the manager of the organization’s short-season team in Williamsport, Pennsylvania for each of the last two seasons and he will try and lead the BlueClaws to their third straight South Atlantic League title. A California native, Truby had a good rookie season with the Houston Astros in 2000, hitting .260 with 11 home runs in just 258 at-bats. However he would never match that success again and bounced around with several major and minor league teams until retiring in 2007. Brick Memorial will play the final game of the 2010 Shore Conference football season as the Mustangs will meet Sayreville for the Central Jersey Group 4 championship at 7pm on Saturday, December 4th at Rutgers University. The NJSIAA announced the sites and times for the 20 sectional finals in two weeks and Memorial for the second straight year is headed to Rutgers and will play in the fourth and final game of that day. We will broadcast the game on the Shore Sports Network, including 105.7FM. Lacey will seek the South Jersey Group 3 title on that Saturday but the Lions will get to stay home for a 1pm contest with Delsea. Ironically both Brick Memorial and Lacey have dropped their Thanksgiving Day games this season so they are in full preparation mode for their state finals. However most high school teams have games this week, starting with Wednesday night when Jackson Liberty hosts cross-town rival Jackson Memorial. Thanksgiving morning includes one of the state’s longest rivalries as Toms River South and Lakewood will meeting for the 91st time. In recent years it would be the Piners limping into this contest but amazingly the visitors from Lakewood have won 2 straight games under first year and legendary coach Warren Wolf. Meanwhile the Indians need a victory to avoid a winless season which is something that nobody could have imagined. Also on Thursday morning, Toms River North plays host to Toms River East, Barnegat and Pinelands play for the first time ever, Central visits Point Boro in a new Thanksgiving Day matchup and Point Beach will host a very good Shore Regional team. What’s been the shore’s best holiday matchup in recent years finds Wall visiting Manasquan with the visiting Crimson Knights needing a victory to share the Class C Central title with the Big Blue Warriors. That game will be broadcast on WOBM AM 1160 and 1310. A sort of wild weekend for yours truly as I took Friday off to pick up my daughter and two of her friends at Penn State University for the Thanksgiving break. I got back to the Toms River area around 4pm and a couple of hours later was back on the road with my brother as we headed to Washington D.C. where would would meet up with my son and some of his friends for a great guys weekend. The highlight was Saturday’s game between Penn State and Indiana at FedEx Field which was supposed to be a home game for the Hoosiers but truthfully was the opposite. We had great seats on the sunny side of the field and many of us were in tee shirts for most of the game which the Nittany Lions won, although there were plenty of anxious moments. It was also nice to see that freshman linebacker Glenn Carson is a regular on special teams and the future appears bright for the former Southern Regional standout. Lacey and Brick Memorial will play for sectional football championships after winning their semifinal games over the weekend. The Lions will host Delsea in the South Jersey Group 3 Final on Saturday, December 4th. It appears likely on that same day Memorial will face Sayreville in the Central Jersey Group 4 Championship game at Rutgers University although the NJSIAA has not yet announced the schedule. Neither team plays on Thanksgiving so they have two weeks to prepare for their final games. For nearly 20 years those associated with the Toms River-Ocean County Chamber of Commerce always found a friendly face in Betty Ann Marshall. She was officially the organizations marketing and event planner and if there was a chamber event then Betty Ann was there with a smile on her face. She retired a couple of years ago and sadly over the weekend passed away at the age of 86. Betty Ann is survived by her husband of 64 years, Walter Isensee, two daughters and two grandchildren. She also leaves behind a great many friends who were blessed to have known and work with her. Visitation will be tomorrow morning from 11-11:30 at Anderson & Campbell in Manchester with a service to follow. Personally I have never been that big a fan of the state football playoffs here in New Jersey as they often result in matchups that do little to excite students, fans and followers. In all honestly over the last 20 years or so there have only been a handful of games that I found so compelling that they fell into the category of “can’t miss.” There are many more regular-season matchups which schools and communities find exciting on an annual basis for a variety of reasons, including geography. The other factor is we are only deciding sectional championships so when the dust settles after the first weekend of December there will be 20 high school teams in the state who can rightfully call themselves state champs. However with all of that said to the players and coaches the playoffs and winning one of those 20 titles it’s what it’s all about and in truth their opinions count more than mine. When this weekend begins there will be a dozen Shore Conference teams who still have the dream alive with at least three of them to be eliminated in head to head matchups. Central Jersey Group 4 could produce an All-Shore Final as tonight Brick Memorial hosts North Brunswick and Manalapan visits top-seeded Sayreville in the sectional semifinals. The Shore Sports Network will broadcast the Mustangs game with North Brunswick with kickoff at 7pm on 105.7FM. Lacey is the other Ocean County school favored to advance and the undefeated Lions figure to get tested at home Saturday against Winslow Township, just like they did last week against Timber Creek. If they do win Lacey will also host the South Jersey Group 3 finals which would likely be the only sectional final involving a local school played at a high school site. All the others would be played at either Rutgers or Kean universities. The all-shore confrontations find Matawan hosting Manasquan and Wall visiting Freehold on Saturday and Keyport traveling to Shore tonight with the winners all moving into championship finals. In other games tonight, coming off their first-ever playoff victory Barnegat is a decided underdog at West Deptford, Middletown South will host Hamilton West and Rumson-Fair Haven is home against Carteret. Hopefully when the weekend is over quite a few shore teams will still have that dream alive. The Truth: A black suit or even midnight blue works just as well. ruin the moment but give her something to look forward to. The Myth: You can pick your own stocks. The Truth: You can, but you shouldn’t. The Myth: The company cares about your development. The Truth: The company cares about its development and if you’re a valuable part you’ll know it and they’ll train you for bigger things. As I thumbed through the latest edition of Men’s Health magazine last night I came across a full-page ad for a new book called “The Impact Body Plan” and recognized the name and picture of the author. Later in the magazine there was an article titled “From Average Joe to Pro” in which that same author talked about how pretty much anyone can train like the pros. 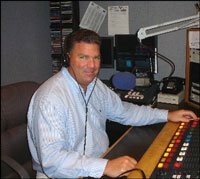 The author and fitness expert is Todd Durkin, who is one of the athletes I most enjoyed covering in the more than 30 years I have followed high school sports while at this radio station. As a matter of fact several years ago while writing a newspaper column I listed Todd on my All-Time Top 10 favorites…probably not something he has cut out and framed in his Southern California home. Durkin was a very good athlete at Brick Township High School and followed in his brother’s footsteps as a quarterback for the Green Dragons. Through football and other sports I got to know him pretty well and while he was a good athlete, he was a much more impressive person. Smart and poised he was someone that you just knew would become a success and after leaving Brick in 1989 he headed to William & Mary where he earned a degree in Kinesiology and later got his Masters at San Diego State University. Since then the former Green Dragon quarterback has built a fitness empire. He is a highly-regarded and well known performance-enhancement coach, personal trainer, author and speaker. Durkin’s San Diego gym, Fitness Quest 10 was recently named one of the top 10 gyms in the county and his personal clients have included Super Bowl MVP Drew Brees as well as NFL stars LaDainian Tomlinson, Aaron Rodgers, Shawn Merriman , Kellen Winslow and many others. Todd twice has been named personal trainer of the year, he has authored 35 DVD’s on strength and conditioning and he is the head of the Under Armour Performance Training Council and makes appearances on their behalf. Durkin lives in San Diego with his wife Melanie and three children and while not even I could have predicted the success he has had it’s really not a shock. I just knew he was something special as a teen-ager in Brick in the late 80’s and he’ll always have a spot on my top 10. Generally speaking we are front runners when it comes to just about everything. There’s no doubt in my mind that we don’t appreciate continued excellence nearly as much as stories in which people rise, fall and then rise again. I present as a perfect example one Michael Vick. Despite some questionable actions while a college player at Virginia Tech, he was the #1 overall draft pick of the Atlanta Falcons in 2001 and quickly became a star. It wasn’t that Vick was such a great quarterback but rather his dazzling style of play that made him stand out and before long he was earning millions in endorsements from Nike, EA Sports and Coca Cola. His Falcons #7 jersey was among the top selling in all of sports and it seemed like the sky was the limit. From time to time there were black marks on his resume but he managed to survive most of them until he was implicated in an illegal dog fighting operation in 2007. Vick would later plead guilty, spend nearly two years in prison and eventually file for bankruptcy as his career and life reached rock bottom. It appeared his playing days were over until the summer of 2009 when the Eagles signed him to a one year contract. At that time most Eagles fans were against the move and the team spent a considerable amount of time trying to convince fans that Vick was no longer the poster child for bad behavior and he deserved a second chance. It did not sit well with many who thought he would be nothing more than a distraction and would cast a negative image on the team. Another part of that was many probably didn’t feel he had any good football left and after all they were pretty content with Donovan McNabb as their quarterback. Well you probably know what’s happened in just over a year. McNabb has been traded to Washington and Vick has become a star again who’s greatest performance came just last night in a rout of McNabb’s new team…the Redskins. In that game Vick threw for 4 touchdowns, ran for two more and simply looked like a serious candidate for the league’s MVP award. Today he is being celebrated in Philadelphia, fans are sporting his #7 jersey again and there are no protests about animal cruelty. In other words because he is playing well then most are willing to forget the bad. Bottom line….we are front-runners. Even people you like can tick you off at work because of the things they do and don’t do. My pet peeves are a mile long and my co-workers know what it is that sometimes puts me over the edge and it starts with those who frankly at times act like P-I-G-S….pigs. However they did not make a list of 10 surefire ways to become an annoyance to others at work as reported by a recruiting firm this week. 1. You’re Unprepared-Shows a lack of respect for your co-workers and yourself. Plus it’s a waste of time. busy running around and you are sitting around reading the newspaper. ask for help unless you really need it. who work next to you so keep your voice low and even. Also remember personal calls should be brief. 6. You’re Unhealthy- Ironically we just got a memo this week about this. your hands and avoid co-workers as much as possible. avoid disturbing those around you. necessary cell phones should be turned off…at the very least keep it on silent or vibrate. 9. Your Computer Volume is Blasting-Nobody wants to hear another person’s bells and whistles while they are trying to work. Unrelated plug….great lineup on tonight’s Saint Barnabas Healthcare High School Football Show at 7pm on 105.7FM/1310AM from Boston’s in Toms River. Guests include Coaches Steve Antonucci of Middletown South, Shane Fallon of Rumson and Jim Portela of RBC and Brick Memorial standout Will Wowkanyn. Based on what you see, hear and read this morning you might think the big winner Tuesday was the Republican Party both locally and nationally. However I think the greatest joy this morning is shared by all of us who can now go nearly a year without having to go through another campaign season. While many commentators will spend today talking about how the system works and we the people have been heard you don’t have to be an Ivy League graduate to know that’s really not the case. Many of those who prevailed yesterday did so because they had more money and more organized efforts and you and I suffered because of it. We were the recipients of countless radio and TV ads, junk mail and worst of all…unsolicited and unwanted phone calls that made life miserable at times. We couldn’t drive a mile in most cases without coming across intersections littered with a dozen road signs for the same two candidates and unfortunately many of those signs will still be around a few weeks from now, that is if they don’t blow away. Politics is dirty business and the quality of campaigns seems to reach new lows in negativity year in and year out. What will next November bring? Well at least we don’t have to worry for a while. Trends come and go when it comes to politics but there is one constant and this is Ocean County is a safe haven for Republicans. Jon Runyan beat incumbent John Adler in the 3rd congressional district by about 6,000 votes because he carried Ocean County by more than 19,000 votes. With Freeholders Jack Kelly and Jim Lacey coasting to victory to keep their seats it means that a Democrat has not served on the board in 21 years and just about all the elections have been landslides. Throw in the fact that Chris Christie is Governor because of how he did here and you have one of the great GOP strongholds anywhere. While Democrats often do well in local town elections they just can’t seem to crack the Republican dominance when it comes to county politics and there is no end in sight. Well I’m back and I’d like to say better than ever but I never was any good so what’s the difference. Last Tuesday I had arthroscopic surgery to repair a torn meniscus in my left knee which is the same surgery I had a couple of years ago on my right knee. As he did the first time Dr. Greg Foos of Professional Orthopaedic Associates performed the operation at the Toms River Surgery Center which I can’t say enough good things about. The staff was professional and personable and it made for a great experience. I’m a bit sore and stiff and go back to Dr. Foos for a follow-up today but am glad to be back. I also want to thank my wife Jane for taking great care of me and putting up with my grunts and groans. As some of you probably know I am among the 7 who pick the winners of high school football games each Friday in the Asbury Park Press. The other six are sportswriters for the paper and I’m sort of the guest expert although frankly I have spent most of the past two years in last place. However two weeks ago I was 22-5 to move from 7th to 4th place and this past weekend I was a perfect 16-0 in predicting the first round playoff games and have moved into a tie for 3rd place…just a game out of first. Remember, it’s not how you start the race but rather how you finish. I have been blessed to come in contact with some impressive and interesting people over my lifetime and no doubt Bucky Walters was one of them. I had him for a teacher at Central Regional High School in the early 1970’s but really got to know him well in the summer of 1977 when I worked at the tennis courts on the bay front in Seaside Heights. Bucky would play nearly every morning and then we would spend time talking and he had plenty of stories. He was an outstanding athlete and an avid surfer well into his adult years. He was an Army Ranger who fought on the beaches of Anzio in World War II. Like many of his era Bucky was humble and rarely talked about himself but he was happy to talk about his sons Bucky Jr. and Harry, the later was a football star at Maryland and later played professionally in Canada. I tell you all of this after receiving an email Sunday that Bucky Walters had passed away. There will be no service but I for one will have great memories of an outstanding teacher and a real man’s man. couldn’t drive a mile in most cases without coming across intersections littered with a dozen road signs for the same two candidates and unfortunately many of those signs will still be around a few weeks from now, that is if they don’t blow away. Politics is dirty business and the quality of campaigns seems to reach new lows in negativity year in and year out. What will next November bring? Well at least we don’t have to worry for a while. In sports there is a commonly-used expression to describe a team that’s success is often based on one ingredient. For example a baseball team that depends on hitting home runs or a football team that throws the football. The expression is “live by the home run, die by the home run or live by the pass, die by the pass.” What it means is basically if you rely on one thing to be successful it’s likely to come back and haunt you when that one thing isn’t working. Today is Election Day and in politics you can use that line as well…“live by the party, die by the party.” If predictions are correct then on a national level Republicans are going to make big gains in the House and Senate today. Those gains are not going to be made because all their candidates are so great but rather it’s a negative reflection on the job many think President Obama and the Democrats are doing in Washington. Before you say that’s not fair remember that it was the exact opposite two years ago when Democrats took control because of the anti-Republican feelings in this country with George Bush running the show. So really it often comes down to timing and I’m sure when this day is done many qualified elected officials who have done a good job will be looking for a new line of work because of the letter that follows their name….R or D. I for one will vote for the person and not the party but there’s a good chance I’ll be in the minority. Many in New Jersey are urging others to simply vote out incumbents which might be the stupidest thing I have ever heard. You can’t lump every elected official into one category and they should be judged on their efforts. Plus if you’re feeling is to get rid of all those now in office does that mean their replacements should all be voted out two years from now regardless of what they do. If you are going to exercise your right to vote then at the least have an idea of why you are voting for someone. If not it’s better than you don’t vote as I have never understood those who feel we must vote. To me it’s a right rather than a responsibility and sometimes by not voting you are sending a message that there are no real choices to make. Bottom line; vote if you want to but not because you have to. With Halloween on a Sunday we figured that the number of Trick or Treaters would be greater than usual….boy were we wrong. The doorbell rang for the first time at 2:30 in the afternoon but over the next couple of hours we only had a handful of costumed characters. While it did pick up I would venture to say we had about 125 soldiers, princesses, ninjas, Buzz Lightyears, sunflowers, Cowboys & Indians and assorted bloody creatures until 9pm. That’s about half of what I expected which means there is a lot of candy left over which my wife will bring to school because it’s the last thing I need. I am often amazed at the length of obituaries that appear in the newspaper. Some are filled with details that read more like a biography than an obituary and frankly make the person appear to be more significant than they really were. Then there are those that don’t tell nearly enough and I think that would best describe Robert LaTorre’s obit that appeared in Sunday’s Asbury Park Press. To those of us at WOBM Bob is best known for hosting a Saturday morning show on 1160 AM which highlighted local events. “Jersey Shore Weekend” allowed him to do what he liked the most…promote what is good about this area. Bob was as big a fan of Ocean County and the Jersey Shore as there was….after all he did serve as the Public Relations Director for Seaside Heights for many years. He was also a past chairman of the Toms River-Ocean County Chamber of Commerce, was a board member and advocate of the Ocean County Vocational-Technical School, a supporter of the United Way of Ocean County, a longtime instructor at Ocean County College and a passionate photographer. Despite all of that he might be best known for the daily show he hosted for several years on the old Adelphia Cable Channel 8. Like many I often disagreed with the opinionated LaTorre but I never questioned his love of country, county and family. A memorial gathering will be held on Wednesday from 6-8pm at Manchester Memorial Funeral Home.